We represent children from new born to 18 year old for modelling work in photographic, fashion, advertising and TV. Our aim is to provide a diverse range of children to the media industry from all over the UK. Lacara is a free to join agency with no hidden costs. Our funds are received only when children are placed in work, of which we will earn a percentage that varies depending on the type of work undertaken. Thank you for visiting my website. I hope you have found what you are looking for whether you are a parent or client. If not please do not hesitate to contact us. My photography career started at a young age or 16, photographing families and children. I soon progressed to other types of photography such as press, corporate, PR, weddings, functions and professional sport. I gained further experience with photographing children when I opened my own studio in Buckinghamshire and regularly photographed nursery schools and children’s soccer schools, sometimes photographing 300 kids per day! 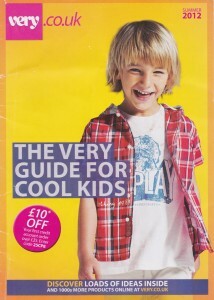 My extensive experience means I am able to spot a ‘photogenic model material child’. 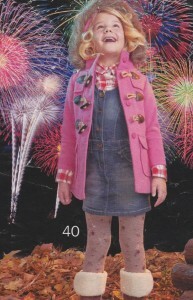 But most of all, the child needs to be happy to be a model. I have 2 beautiful children of my own, both of whom have been working as child models, I have had the experience as a parent to understand the commitment that is required as a parent. Taking your child to castings in London is time consuming, but very rewarding when they get the job and you see your child in a magazine or online. I have also had the experience of taking them to castings and them not getting the job! Some children can go to one casting every month and be unsuccessful; some children go a whole year and never even get a casting. This does not mean your child is never going to get a job, casting directors can be very specific and its just luck of the draw if your child ‘fits the bill’ In the past when my children have been to castings I use this time to spend a quality afternoon with them, visiting the sights of London, a beautiful city on our doorstep. So even if they don’t get the job, at least we have had fun! As an agent we cannot guarantee any child work, which is why Lacara is completely free to join. Also as photographer for those children accepted onto our books they have the opportunity to come and have a portfolio with us, not a specific requirement of Lacara but a facility we offer. Plus it is great to meet all of the children personally which helps when we are talking to casting agents and we can personally recommend the right child for the job. I look forward to working with you, whether you are a parent or a client, I hope you will be satisfied with our personal service.